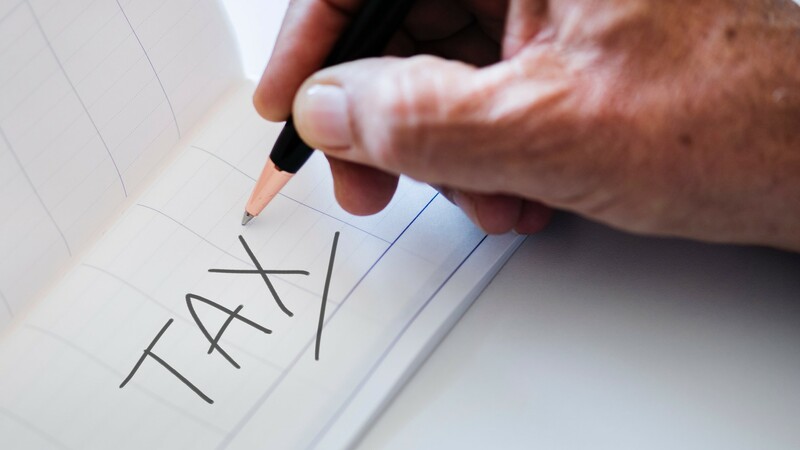 Here are the main small business tax rates and allowances for the tax year of 2019/20. You have to pay 19% Corporation Tax if your profit falls below £300,000. If your annual profit exceeds £300,000 then you have to also pay 19% Corporation Tax. You can find out more in our corporation tax guide. You have to register for VAT if your turnover over the past 12 months is £85,000 or more. The de-registration threshold is £83,000. Tax on dividends is paid at a rate set by HMRC on all dividend payments received. Anyone with dividend income will receive £2,000 tax-free, no matter what non-dividend income they have. Dividend basic rate is 7.5%. £0 to £37,500 on taxable income over the Personal Allowance In England. Dividend additional rate is 38.1%. Over £150,000 of taxable income. The personal allowance (the amount you can earn before any income becomes taxable) is £12,500. You will not receive a tax-free personal allowance at all if you earn £123,700 or more. The basic rate band is 20% and applies to income up to £50,000. The higher rate band is 40% and applies to income from £50,001 to £150,000. The upper (additional) rate band is 45% and applies to income of £150,000 and above. If you run a company (or work for one), then Class 1 NICs apply. Employees’ Class 1 NICs are payable at 12% on salaries received between £166 and £962 per week. Any earnings above the upper earning limit (£962) will be taxed at 2%. Employers’ Class 1 NICs are payable at 13.8% on earnings above £166 per week. For sole traders and partnerships, you pay Class 2 and Class 4 NICs. Class 2 NICs are payable at £3.00 per week and are paid by anyone earning £6,365 or more through self-employment during the tax year. Class 4 NICs are paid on profits you make as a self-employed person. The Class 4 NIC rate is 9% of annual profits between £8,4632 and £50,000, and an additional 2% on profits above £50,000 per year. Read our guide on National Insurance for further information. The annual allowance limit remains at £40,000. The maximum tax-free lump sum is 25% of your pension pot. The overall ISA investment limit remains £20,000. If you pay higher rate income tax you’ll pay 28% on your gains from residential property, and 20% on your gains from other chargeable assets. If you pay basic rate income tax you’ll pay 18% on your gains from residential property, and 20% on your gains from other chargeable assets. Each individual has an annual CGT exemption of £12,500. The Annual Investment Allowance (AIA) is £200,000 and has remained at this since 2016. First-year allowances remain at 100%. The Inheritance Tax Threshold (IHT) remains at £325,000. The standard inheritance tax rate is 40% of anything over the £325,000 threshold. More on taxes and the tax rates and allowance for 2018/19.